Raising chickens has been more fun than I ever imagined it could be. Each member of my flock has its own personality, and if you observe them long enough you can be certain to watch some sort of hilarious drama unfold. Chicken houses or coops have much kind of qualities, shapes, sizes, materials even there are many alternative steps to suit different situation. Here I have described three kinds of major chicken coops that are most commonly used in backyard poultry. A plastic coop is very suitable accommodation for chicken. The main supplier is seen to be omelet and a number of different and accessing produced by them. Chicken coops get should not be so big or so small. The size of coops get has to be comfortable that they can easily get proper air and light and they can’t go away from the coop willingly. But you can keep a large place within this plastic cage. So that chicks can easily move around coop. The mesh must be strong on their runs and the ground has to be flat. Omlet has a biggest benefit that it can be cleaned easily and a few cracks and crevices can be find out: For the chicken keeper various website sells a huge range of products. YOU should supply the fresh grass of your hens in every week. Have noticed some strong recycle plastic ‘ECO’ chicken houses. They are made by recycled and wasted plastics. The house is well designed and very comfortable for chicks. The plastic is generally quite thick and the walls are locked securely. These houses can also clean easily a healthy atmosphere will seen on the coop. Well mentioned that, during buy a hen houses; obviously by a little bigger that you need! There will be huge production of chicken and the space of the coop will be smaller. They will be feeling comfort on their roosting place and you will be satisfy to realize that your birds are happy to roost together. For instance, every hen want to roost on the one top brunch then what will we you do? So you must have a bigger house for your birds so that they can what they want. There are some cheap chicken coop that made by wood. You can buy them within you budget. It will be better for your business and proper care of your hens. How much space Do Chicken Coops Need? Per bird floor area should be 30-cm into 30cm (90 square cm). For 9 medium chickens, you should make a coop of 90cm into 90cm. But in this measurement, you do not combine the nest boxes. This will be the inside floor area. For bird’s resting, 4-5cm wide perches should make with a round boundary. Per large fowl in should be 40cm and for medium fowl it should be 30cm and well mentioned that, these measures for hybrid size hens. At the time of sleeping the wide perches will help them to get rest. Crosswise 90cm wide coop is perfect for (9cm into perches 30cm) =9 medium hens or six large fowl. 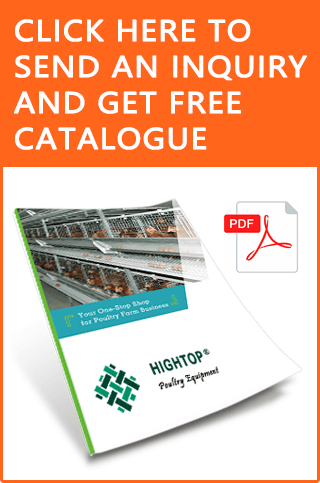 These measures are suitable for your hens coop. It should remember that always keep some extra space for much comfort of your hens. Try to keep one nest box for every hens with a minimum of two boxes. The size of nest boxes must be large. So that your hens can live comfortably. For getting more information about perches and nest boxes, again take a glance down the page. Building or buying a chicken coop can range from free to hundreds or thousands of dollars. It really depends on how elaborate you want to go. Our chicken coop is made from pallets, scrap wood, old windows, and a salvaged door. Even our metal roofing was leftover from a previous project. All in all, we probably have the cost of a box of screws in our coop. As long as you keep the previous recommendations in mind, it really doesn’t matter how you build it or what you spend. So don’t go crazy with it. Sure, you could go out and buy a fancy pre-built coop, but what fun would that be? Get creative, use what resources you have available, and create your own one-of-a-kind home for your flock. Chicken coops quality is very important fact. For wooden hen houses wood costs are the main element. High qualified chicken coops are made by solid, pressure treated 12mm tongue and trench boards are interlace with one another. Thin borders mean weak doors and if you are careless then it can be problem. So remember this. For stopping coops rust fitting should be galvanized. For releasing cold and keep in temperature as low as-20 in countries like Canada anyhow, chickens need a dry and draft free house for sleeping by cause of well ventilated. Then your cook needs some high levels ventilation and some lower levels ventilation of in late. Chicken should not rest in an open place. Due to it will be too much breezy for them. If there have a good ventilation then, Chickens can be discharge from ammonia or any kind of diseases which attacked by cold. The point place of ventilation always should be open due to keep a healthy atmosphere within the coop. If you make the coop free from ammonia then, it will help to success in your business. Because, too much ammonia should not remain in the air due to probably it can be damage your hens lunges and eyes. So, be careful about this matter. There is easy way to clean. If it is possible then avoid a left roof. Make sure that there is sufficient ventilation. The perches must be higher than nest boxes. There are of hundreds of suppliers of chicken house have different quality. I suggest to add high qualified house that is omelet which stock the best plastic chicken coops and also produce another high quality ‘For sham Cottage Arks’ wooden coops and arks. The information above all many help you to success in your business. If you remember all of information, you can lead a well business. Well wishes for you can go ahead!